New research shows renewable energy use at a tipping point – with 62 per cent of Australians using or interested in introducing renewable energy in the home. Australia, June 9 2017: Australia’s Chief Scientist, Dr Alan Finkel, will today release a report into the nation’s energy market, which addresses the dilemmas of price hikes, stabilising the grid from blackouts and the integration of renewable technology. However, the focus on traditional strategies to meet the emissions targets set out by the Paris accord overlooks the critical role home power solutions such as batteries and smart meters will play in stabilising Australia’s power supply and reducing costs for consumers renewable energy startup Evergen said. New nationally representative research conducted last week by Pureprofile reveals a significant 62 per cent of adult Australians are either currently using some form of renewable energy in their home or are interested in introducing renewables into their home. 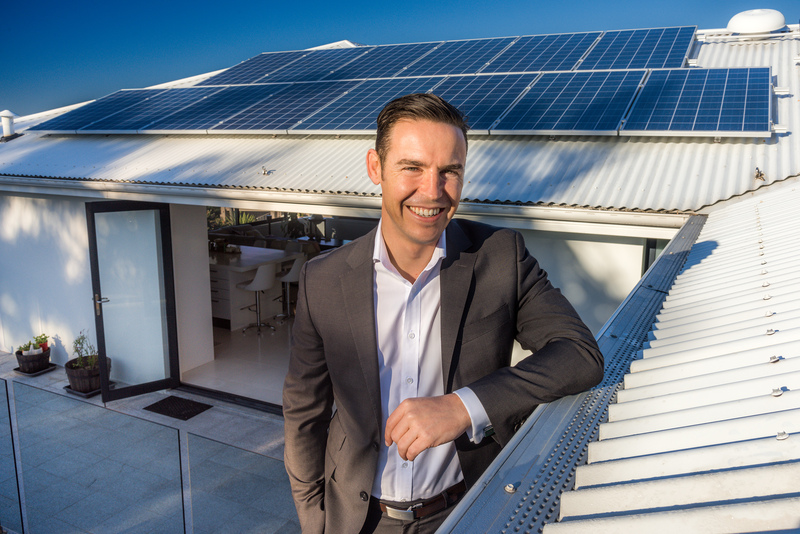 “Our research shows we have reached a tipping point around the use of renewables in the home, with most Australians keen to ‘do their bit’ and sign up for renewable energy now or in the near future. This demonstrates that there is the real potential to transition Australia’s grid to a more decentralised model with high penetrations of distributed energy resources (DERs) such as solar PV, batteries, EVs and smart appliances also creates a range of diverse opportunities for innovative products and services. These include home energy management systems, energy trading platforms and home automation solutions. Australia’s leading position in this transition also creates opportunities to export technologies and services in this area. “Australia has a rapidly expanding, highly innovative local renewable energy market that holds great potential to deliver economic opportunities, as our reliance on traditional energy reduces. In partnership with the CSIRO, we have locally-developed, market leading smart technology that helps consumers manage their energy consumption to make it even more efficient,” Mr Keane said. “The ability for this technology to apply deflationary forces on the cost of power is something we cannot afford to overlook. At the moment, home-generated power is considered to be separate to grid energy solutions. We believe it would be far more effective to have the two working in concert,” Mr Keane said. “Australia has the potential to be seen as a global innovator in renewable energy, as recognised by the Finkel report, and demonstrated by the breakthroughs that the CSIRO has made into clean power innovation. While we do have incumbent industries that employ a lot of people and are a critical part of Australia’s economy at the moment, the government also needs to recognise that as renewables become as lucrative as coal and gas mining, Australia’s economy will suffer if we don’t start the transition process now and invest in developing exportable, innovative technology around renewables now,” Mr Keane said. Evergen is a new energy services company that sells and manages intelligent home energy systems comprising solar power and batteries. The ’intelligence’ technology is provided by the CSIRO, which periodically analyses and remotely updates the system to improve over time. AMP Capital is a major investor in the company alongside CSIRO. Evergen is run by energy scientists and advocates of change for clean solar and battery storage technologies for the home. The Evergen team includes the former CEO of AMP Capital and Evergen Chairman Stephen Dunne.